As the leading centre with the most advanced Assisted Reproduction Technology Laboratories in South-East Asia, Superior A.R.T. 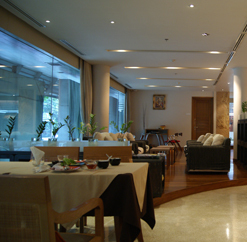 has been established from the collaboration of Sydney IVF and a group of Thai experts in Infertility and IVF treatment. 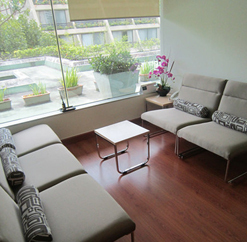 We would like to welcome you and make your experience with us as comfortable, simple and stress-free as possible. Through our pioneering science, together with professional care and support, you can be assured of our dedication at every step. Superior A.R.T. has been established by the joint venture of Sydney IVF, Australia's premier IVF treatment provider, and several Thai experts in infertility treatments. Uniquely we have a strong commitment to research and are at the forefront of genetic diagnosis and testing..
We also understand the emotional investment required when considering and undergoing assisted conception. You will have your own Superior A.R.T. specialist, as well as a team of nurse coordinators and scientists, who will all be there for you through every stage of your treatment, offering guidance and support, always available to answer your questions . 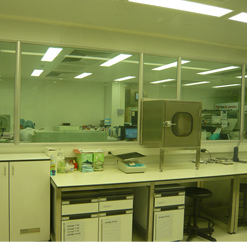 developed by Sydney IVF: our parent laboratory. 2、We can test the genetic health of your embryos to give you the best possible chance of a successful pregnancy. The technique we use is called pre-implantation genetic diagnosis (PGD), and we're one of the few clinics in South-East Asia with the experience and the facilities to do so. The internationally recognized expertise of Sydney IVF in PGD for patients with known genetic disorders, such as beta thalassemia, is available at Superior A.R.T. 3、Using PGD, we can recognise many problems early, and we can exclude additional genetic factors that may hinder a successful pregnancy. 4、Sydney IVF is expert in single embryo transfer, which can increase the chance of a live born baby for younger women. This expertise is standard at Superior A.R.T. 2、我们与囊胚培养和植入术、 世界各国领导人在这一领域的成功意味着囊胚移植是标准在悉尼 IVF 和Superior A.R.T. 3、我们可以测试您给你最有可能的成功怀孕的胚胎的遗传健康。我们使用的技术被称为胚胎遗传学诊断 (PGD)，而我们在东南亚地区的经验和设施，这样做的几个诊所之一。PGD 在 Sydney IVF 患者已知的遗传疾病，如 β 地中海贫血，国际公认的专门知识是可用在Superior A.R.T. Copyright © 2010-2016 孕途海外 www.yuntubbs.com 版权所有 All Rights Reserved.